What does it take to get Democrats and Republicans to work together? Apparently all that’s needed is a recognition that they must act – because people are hurting and they’re yelling and screaming about it. Better to work out a deal than be tossed out on your ear on Election Day. That’s a cynical view, and I still applaud the 19 members of the House that agreed to sponsor or co-sponsor HR 2918, the Coal Healthcare and Pensions Protections Act of 2013. That’s a good piece of legislation that should become the basis for law, helping Mine Workers and their families stay alive, essentially. And the United Mine Workers of America have made sure that Congress gets the message with a vigorous public education campaign over the past eight months. The bill’s supporters are eight Democrats and 11 Republicans, most from the coalfields of West Virginia, Pennsylvania, Kentucky, Ohio, Indiana and Illinois. Democrat George Miller of California also signed on to the bill because he is a labor champion who would not pass up the opportunity to support families in dire need of health care benefits promised for a lifetime of work underground, at risk of life and limb. Most of these miners worked for Peabody Energy or Arch Coal, but those companies managed to dump their health care obligations onto a spin-off company, Patriot Coal, that may have been created by Peabody to fail. Thousands of Mine Workers and supporters rallied in Kentucky Rep. Ed Whitfield’s front yard, the Henderson County Courthouse, back in June to assail a bankruptcy judge’s decision that would give Patriot carte blanche to dump benefits and abrogate current contracts. Congressman Whitfield was attending to the funeral of his father that day, but he sent an aide to pledge his commitment to introduce legislation to protect those benefits. His promise served as an opening to craft this bipartisan bill, which resembles a bill sponsored in the Senate by Sen. Jay Rockefeller, (D-W.Va.). This one, however, is bipartisan, a rare commodity in Washington politics, giving Rep. Nick Rahall, a West Virginia Democrat, good reason to sponsor both bills. 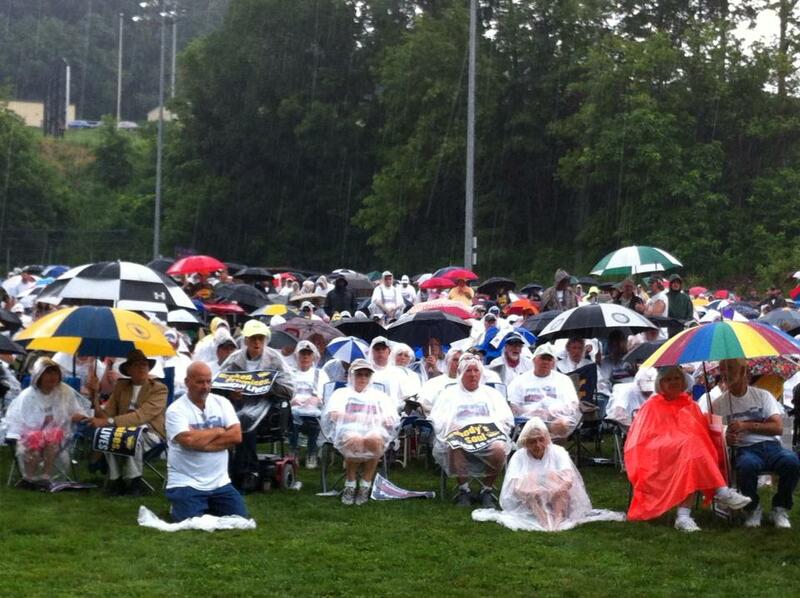 Some 5,000 Mine Workers and their families gathered in heavy rain in Fairmont, W.Va., last month to urge Peabody Energy and their elected representatives to do the right thing. West Virginia Republicans David McKinley and Shelley Moore Capito are co-sponsors of the bill, as are Kentucky Republicans Whitfield and Andy Barr. Five Republicans from Ohio also signed on. The eight Democrats are spread across seven states, including Missouri, where William Lacy Clay Jr. is upholding the fine Missouri Clay tradition of his father, the great Rep. Bill Clay, who championed workers as chair of the House Education and Labor Committee. For the most part, however, all these legislators have a single common interest. Mine Workers and their families and friends and allies in the labor and religious communities are a core constituency, a single-minded and committed group of voters who do not forget. They are a powerful political force. The Mine Workers have mobilized thousands of members, dressed in camouflage or militant T-shirts, virtually camping out in front of Peabody’s headquarters in St. Louis over the past six months, using billboards and TV and print ads to punctuate the frequent rallies. 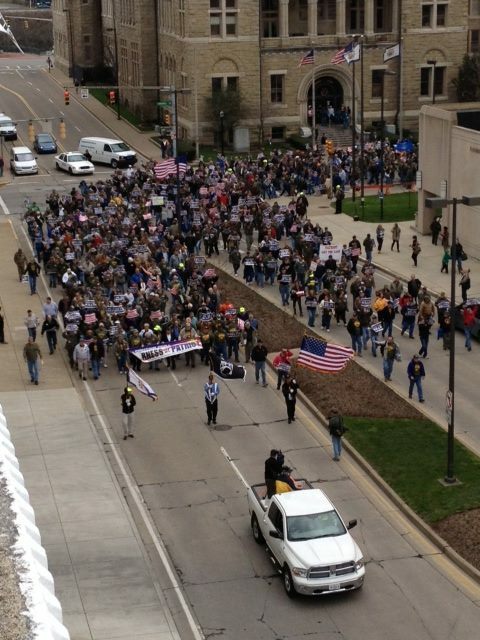 More than 10,000 miners and allies rallied outside Patriot’s West Virginia headquarters in Charleston, W.Va. But that is in the coalfields, a natural audience for the UMWA message. Now the voices of miners and their struggle must be amplified to reach the population and financial centers of America, to make their case to an audience that doesn’t really get coal, or the human costs of mining. In a sea of 435 members of the House of Representatives, 19 hardly make a ripple. But that’s how every movement begins. Eventually, with a little agitation, we can make a splash. For this Congress, it may take a full immersion. Over the past several months, Mine Workers have marched in the streets of St. Louis to protest Peabody Energy abandoning its former employees. On three occasions, miners have locked hands in the streets in a boisterous nonviolent protest, singing “Amazing Grace” as they waited to be arrested. 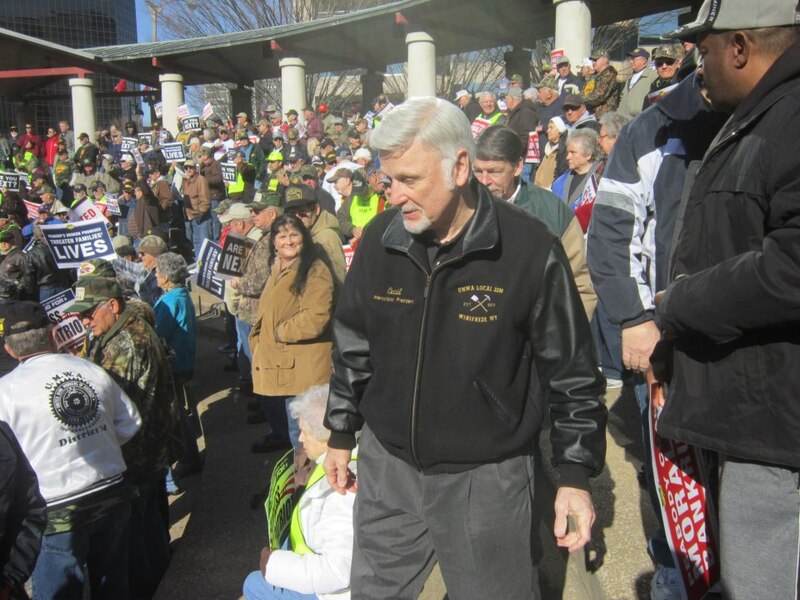 United Mine Workers President Cecil Roberts greets the thousands of supporters rallying in St. Louis March 19. Expect a moving speech in Charleston April 1. Invoking the words of Jesus and passages of scripture, they have asked why courts would allow workers to be persecuted, denying them the benefits they were promised. 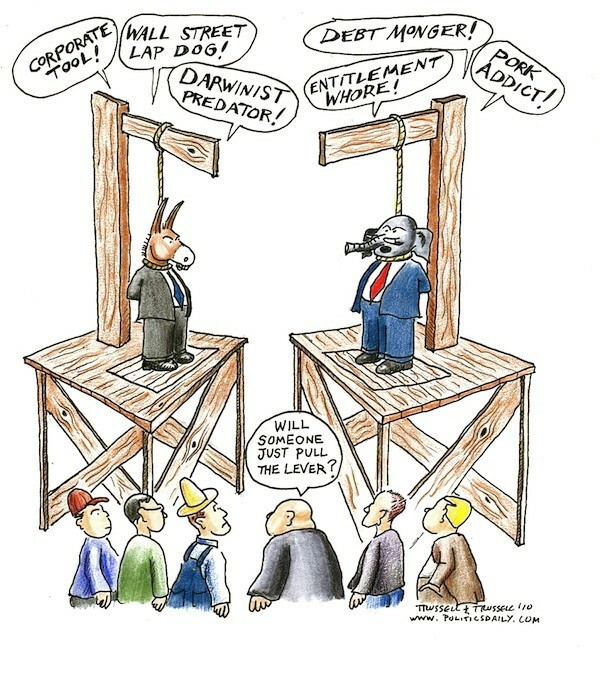 They are asking for fairness. They ask: If we allow corporations to use the bankruptcy courts to dump retiree pensions and health care, what kind of society are we? The question will be raised again on Monday, April 1 in the streets of Charleston, W.Va., with more than 5,000 miners and their supporters rallying outside the downtown headquarters of Patriot Coal, the shell company that was created by Peabody and Arch Coal to take over their obligations to employees, and then fail. I’ll be there and blogging live via http://fairnessatpatriotnow.blogspot.com/, and posting here about the rally later in the week. You can get more details at http://www.fairnessatpatriot.org, and at Fairness at Patriot on Facebook. So much is at stake, not only for retirees and their families, and for active miners and their communities, but also for every retiree depending on company-provided health care and pensions. Too often in recent years, companies have sought to dump these obligations through the bankruptcy courts. It’s in everyone’s interest that we stop it here. The Mine Workers are taking a valiant stand, invoking not only history but also a Christian spirit that they argue should infuse the court’s deliberations. This is about fairness, about human dignity, about respect for family and hard work. This is about faith, perhaps even resurrection for struggling mining families. The Mine Workers have come home to Charleston, seat of the bustling coal mining industry for nearly a hundred years, to state this case clearly. West Virginians understand the sacrifices that coalmine families have made to support mining in Appalachia, to build prosperous and promising lives. As bankruptcy court hearings begin today in St. Louis on Patriot Coal’s petition to eliminate retiree health care and to make steep cuts in compensation for active miners, the United Mine Workers released documents showing that Patriot has paid more than $14 million in legal fees and expenses to the well-heeled New York law firm, Davis Polk and Wardwell. While coal miners, retirees and their widows may be threatened with loss of their livelihoods – even their lives when it comes to their critical health care – the lawyers in Gucci Gulch are living high off the hog telling Patriot how it can shed human liabilities, reward executives and hoard cash. Senior attorneys at the law firm are billing Patriot $985 an hour, junior attorneys bill $795 an hour and paralegals bill $400 an hour for such tasks as “coordinate duplication,” “assemble and revise hearing binder,” and “prepare FedEx labels for shipment.” The firm charged $21,951.78 in meal expenses from July 2012 to January 2013. “This is a terrible irony that attorneys making $1,000 an hour and paid more than $14 million at this point, they’re billing $22,000 for take-out food when they work late,” UMWA President Cecil Roberts told a press briefing on Monday. “And yet they want to take away health care from 97,000 people, who pay for their own food, buy their own lunches.” See more details of the filing here. Patriot has asked the court to replace its retiree health plan with “Voluntary Employee Beneficiary Association” (VEBA), with a cash contribution of $15 million, about the same amount it has paid the lawyers thus far to shake down the former employees, and far short of what is needed. And the company also has asked the court to approve $7 million in bonuses for the genius executives that led them into bankruptcy court. Mine Workers, retirees and their widows will be among the hundreds that gather on the streets of St. Louis today, demanding that the courts do their duty and provide justice for the miners and their families. Some will be arrested. “We will not stop until we see that justice in our nation is for all the people, and not just the rich folks,” Roberts said. Meet one of the families whose lives are at stake here. Patriot Coal has asked bankruptcy court to terminate all retiree health care obligations and radically restructure its collective bargaining agreement with the United Mine Workers of America, essentially a nuclear option that promises to intensify the heat in the streets of St. Louis, where coal miners have come to demonstrate and go to jail if necessary to make their public case. The bankruptcy court motions are “totally unacceptable, unnecessary and put thousands of retired coal miners, their dependents or their widows on the path to financial ruin, worsening health conditions or even death,” UMWA President Cecil E. Roberts declared. The union stepped up its criticism of Peabody Energy and Arch Coal for using the Patriot shell company to dump their pension and health care obligations. Most of the miners affected are former employees of Peabody or Arch and never worked a day for Patriot Coal. The union has been negotiating with Patriot to reach a fair agreement and Roberts vowed that those talks would continue. “We remain on two paths in our fight for fairness and justice,” he said. “We will continue to meet with Patriot in the hopes that something fair for both sides can be worked out. Traveling south from Charleston, W.Va., through Boone County is a visual treat, a land weathered by time and fortune. You can see it on the truck-cracked roads that roll past narrow streambeds, on the little coal towns sunk into the hollers or nestled up against the mountains, abandoned coal tipple conveyers rising along the mountain peak, and on the mountains themselves. Time had certainly worked over Big Mountain before Patriot Coal Co. shut down its coalmine there earlier this year. When I visited in 2011, it was down to Big Mountain #16, and miners were busy working the remaining veins. At the time, Patriot seemed determined to work it until the coal was exhausted, producing nearly 2 million tons of coal from Big Mountain that year. That was fine with the miners, members of the United Mine Workers of America. 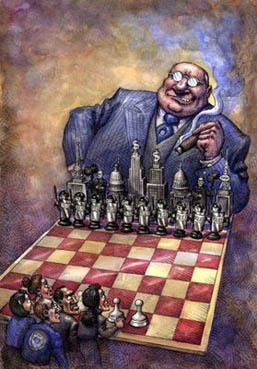 In fact, management and labor were in the process of putting aside years of bitter fighting to talk about cooperation, safety and prosperity. 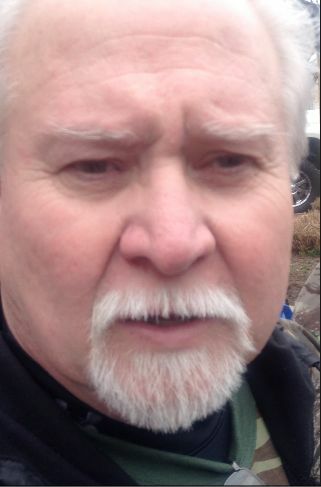 The supervisor at Big Mountain #16, Dave Belcher, was a former rank-and-file union miner who allowed that he liked and respected the local union president, John Alderson, and Alderson said the feeling was mutual. That open communication between management and labor didn’t necessarily guarantee safe and profitable operations – the mine was cited for failure to report safety violations in May of that year and had consistent safety problems because of the bad roof conditions endemic to the Appalachian geology, and Patriot shut it down in February 2012, citing reduced demand for coal. The company declared for bankruptcy five months later. Alderson, Belcher and the rest of the Big Mountain crew were transferred to Patriot’s Black Oak mine, up the road toward Charleston, as the company consolidates as it works through restructuring. Big Mountain could be opened again, but there are no promises. As Egnor suggests, miners in West Virginia and other states in the coalfields believe that coal will continue to fuel the economic engine of their communities. That was clearly the consensus I found in conversations with miners and operators not only at Big Mountain and Black Oak, but also at Shoemaker and Blacksburg, in northern West Virginia. But the bankruptcy filing by Patriot may herald a steep downward slope for the industry – or a further erosion of our reliance on fossil fuels in general. Even the most dubious of the climate change doubters are coming around to the realization that extreme weather patterns, such as Hurricane Sandy this year, are the result of global warming trends that are increasingly influenced by human activity. Still, the rise in “clean” natural gas production give us new turns at fossil fuel production, and there are a few jobs in those pipelines. Some power producers, including FirstEnergy Corp, American Electric Power and Duke Energy, are shutting down many of their coal-fired plants in response to stricter environmental rules, switching to natural gas. While natural gas may be emerging as a replacement for coal in power generation, it is not without environmental risk. Many experts believe that we are headed into a period of “mix-and-match” energy generation, as coal continues to give way to natural gas, as well as additional nuclear production while such renewable clean energy technologies as solar, wind, wave and geothermal are developed. What becomes of mining communities as coal becomes less and less attractive as an energy source? In November, Patriot announced that it has agreed to phase out mountaintop removal and other forms of strip mining, which may be good news for Appalachian communities fighting environmental degradation but which will pose new challenges for their economies. Patriot didn’t suddenly get environmental religion, of course. It was facing a costly suit from environmentalists, plus the company wouldn’t mind shedding two of the stronger local unions in the coalfields. For Roberts and his union, Patriot’s withdrawal from strip mining could mean fewer coal mining jobs in the long run, but also more difficulty in ensuring that Patriot lives up to its obligations. Since declaring bankruptcy in July, Patriot is trying to jettison its responsibilities for health care and pensions for miners and their families, including retirees and widows. 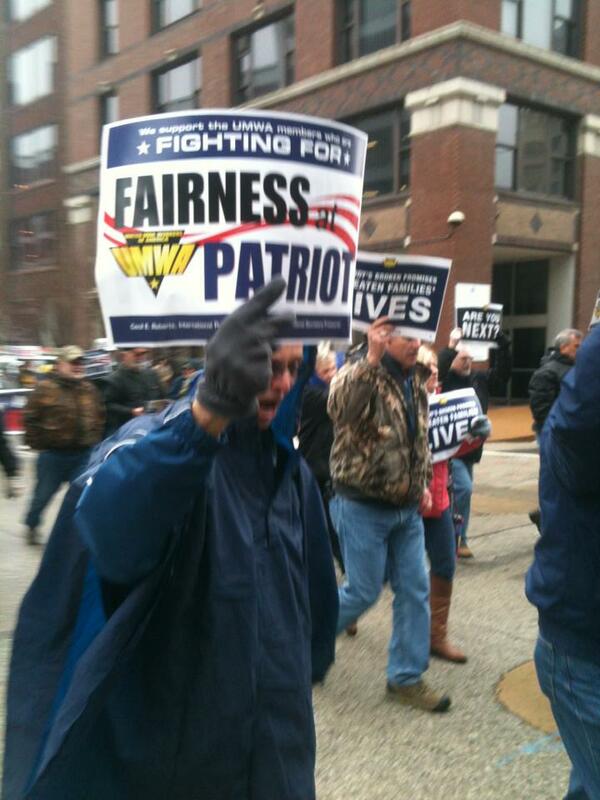 The UMWA is fighting for the miners in bankruptcy court in St. Louis. The union is also fighting the real villain here, Peabody Coal Co., the original guarantor of worker benefits that offloaded those jobs and the benefit obligations onto Patriot, a subsidiary it created just for the purpose of shedding the liabilities. The UMWA has filed suit against Peabody claiming violation of the Employment Retirement and Income Security Act, which prohibits defrauding workers out of earned benefits. That case is being heard in Charleston. Peabody’s double-breasted scam on workers, using shell companies like Patriot to offload pension obligations, then using the bankruptcy courts to cash in while dumping workers, is a scenario playing out in a lot of industries, including the airlines. But Big Coal has managed to set some record low standards. In 2004 Horizon Energy dumped more than 5,000 miners and their families, unloading the company through bankruptcy to Massey Energy, operator of the Upper Big Branch mine that collapsed and one of the most disreputable employers in the coalfields. The Patriot fiasco is the latest in a long line of treachery by the nation’s coal barons. A lot of families in the coalfields are depending on the UMWA to once again carry the day against Big Coal, in the courts of law and in the courts of public opinion. But they will also have to contend with the changing dynamics that makes coal less important to the nation than it has been throughout our history. Coal was King when I was growing up in western Kentucky. Grandpapa Van was a coal miner who died of lung disease, Parkinson’s and a belly full of hard living. Other friends and relatives have sacrificed their health to go underground to provide for their families. There was always money in coal, working it or selling the rights. Or hauling it in or hauling it out over the L&N rails. Coal was the story. It fired our lives. 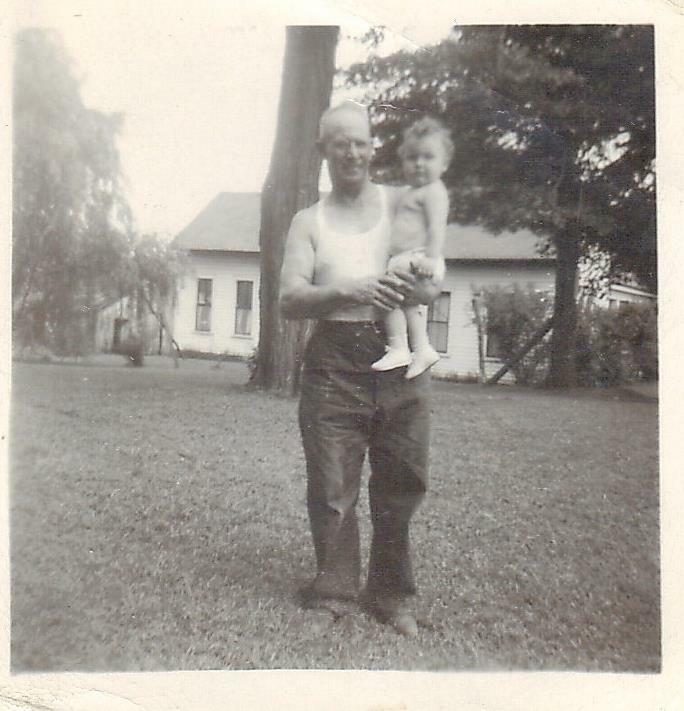 Me and Papa Van in rural Henderson County, circa 1950. As a junior reporter at the Henderson Gleaner, I’d spend hours poring over deeds at the Courthouse, jotting down longhand the transfer of mineral rights, mostly. That was the big story. Below that farmland, and stretching all the way back to the Appalachian foothills, lay the newest seams of coal, gold to energy titans like Peabody Coal and Reynolds Metal. Only years later did those rights diminish because of the high-sulfur content of the coal, and the idea of coal gasification replaced the drill. But that too was fool’s gold. The truth is Mr. Peabody never stopped hauling away coal and wealth from the communities of western Kentucky, southern Indiana and Illinois and, of course, West Virginia, Pennsylvania and Virginia, where many seams already are tapped out. And while hauling Paradise away, Peabody wasn’t too keen in keeping his word to the communities it lay bare, nor to the miners who dug up the company’s fortune. In November 2007, Peabody spun off many of its mature underground mining operations into a company called Patriot Coal Co. Patriot got all of the union-represented miners and their health and retirement liabilities, even though Peabody had signed agreements to continue paying into those funds, along with other members of the Bituminous Coal Operators Association. Patriot later absorbed the older, unionized mines of Arch Coal Co., further extending its liabilities. As demand and the price of coal declined over the past few years, it probably was little surprise that Patriot got overextended. The company filed for bankruptcy earlier this year, leaving vulnerable the hard-won retirement and health benefits of 10,600 former miners and their families, and the jobs and benefits of 2,000 current miners. The sheer mendacity and duplicity of Peabody Coal Company in unloading its human assets fired up the United Mine Workers and their President Cecil Roberts, who lambased the company for its double-dealing. 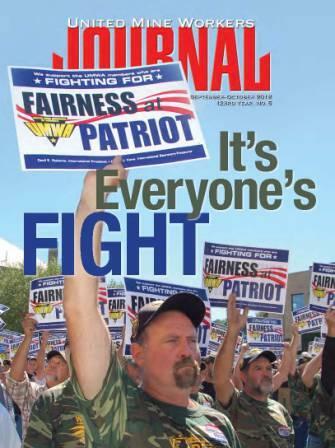 The union on Oct. 23 filed suit on behalf of 12,600 retirees and active workers, charging that Peabody and Arch “planned to transfer (their) employees and benefit plan obligations to Patriot for the purpose of depriving (their) employees and retired employees of their welfare and retiree benefits,” which is illegal under the Employee Retirement and Income Security Act (ERISA). 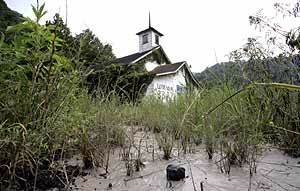 That case is being heard in Charleston, W.Va.